What are the properties of magnets, and why are they useful to us? 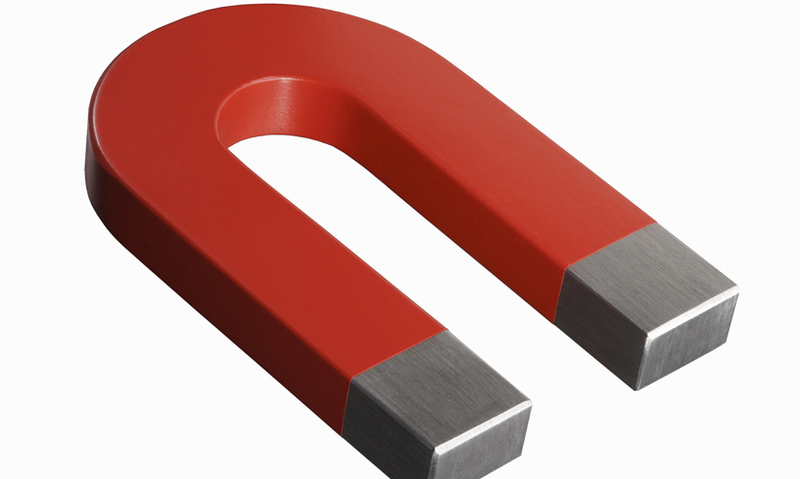 A permanent magnet is a piece of metal that possesses a magnetic field. The magnetic field is strongest at the magnet's two poles, the north and south. The magnetic field of opposite poles attracts and of like poles repels. Magnetic fields are used by humans in MRI machines and compasses. We cannot see, hear, or feel magnetism. Yet it helps us to navigate, hear the world around us, and understand our bodies better. A permanent magnet is a piece of metal, usually iron, nickel, or cobalt, which possesses a magnetic field.